AXYZ International, a manufacturer of CNC routing, engraving and cutting systems, scheduled an open house Sept. 12 at its manufacturing facility in Burlington, Ontario. A variety of AXYZ products will be on display, including the PanelBuilder System for ACM panel fabrication, several models from the Series CNC Router System, the new Pacer Series CNC Router and the all-new AXYZ Z5 series, an entry-level cutting-edge router system for all types of CNC applications. AXYZ specialists will be available to answer questions and discuss visitors’ routing, cutting and engraving requirements, according to the company. 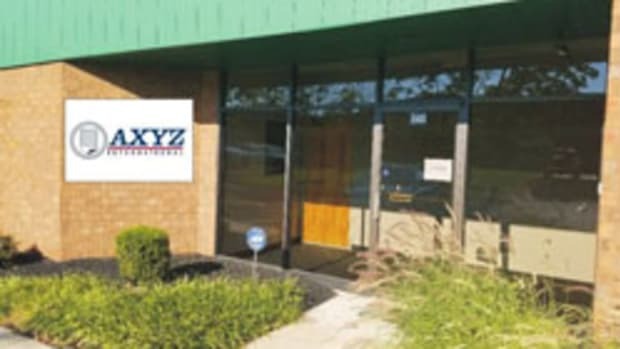 “AXYZ International hasn’t had an open house for quite a while and we decided now was a good time to reconnect with our current clients, introduce what we have to offer to prospective clients, and also show off some of our new products,” vice president of marketing development Robert Marshall said in a statement. Other scheduled companies in attendance include Alpolic, Vectric, Onsrud and Coastal Enterprises. There will also be factory tours of AXYZ’s manufacturing facility, complementary refreshments, and door prizes. CNC Factory will unveil two 2019 models of CNC machines at its “Making Everything Better” open house, scheduled for Nov. 15-16 in Santa Ana, Calif.
AXYZ International, a manufacturer of CNC router systems and CNC knife systems based in Burlington, Ontario, announces the acquisition of WardJet in Tallmadge, Ohio, a firm that manufactures waterjet cutting machines.